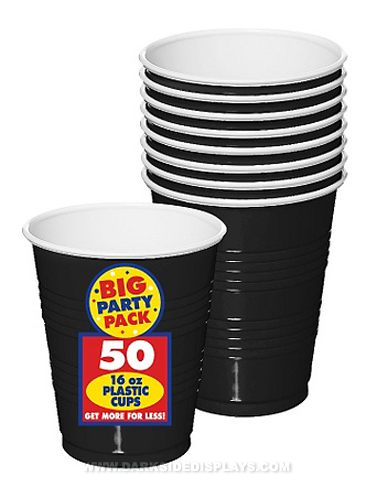 Black plastic cups compliment any Halloween party theme, and you will have plenty for the Halloween party with this 50 count pack. Black outside and white inside so you can see what you are drinking. Not recommended for microwave or hot beverages. Black Plastic Cups hold 16 oz. 50 ct.